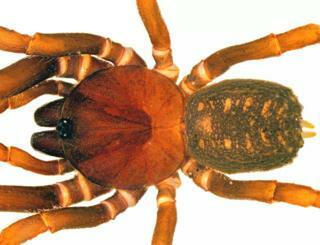 Scientists have named a new type of spider after the stormtroopers in Star Wars. It's because the different species all look like each other - just like the famous soldiers in the sci-fi films. The new species are thought to be the very first bald-legged spiders ever spotted in Colombia, South America. Spider experts - known as arachnologists - found a total of six species living in the country which were previously not known about. Amazing spiders: Which is the coolest? Scientists had to create a brand new species group for four of the spiders because they didn't fit into an existing one. They called it Stormtropis. Bald-legged spiders are a family of only 11 different types that look similar to each other, according to researchers. 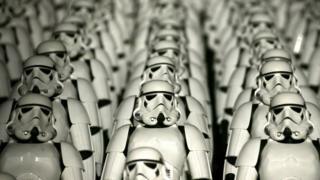 Lead scientist Dr Carlos Perafan, of Universidad de la Republica in Uruguay, said: "The stormtroopers are the soldiers of the main ground force of the Galactic Empire." "These soldiers are very similar to each other, with some capacity for camouflage, but with unskilful movements, like this new group of spiders." Hungry spiders eat up to 800m tonnes of insects a year!